American orbital launch vehicle. In July 1989 a NASA Langley/George Washington University joint study was made of various Liquid Rocket Booster configurations. A parametric trade analysis looked at the optimum solution. This was found to be twin oblique-wing recoverable boosters. 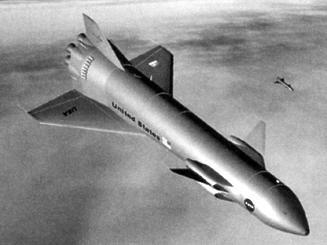 Staging at Mach 3 would allow them to be built of aluminum rather than higher-temperature materials. Standard SSME's would power each booster. Two optimum configurations were identified. One was a 2-engine orbiter and two 3-engine boosters (2-3-3). In this case the orbiter would be 45 m long, and the booster 35.4 m long. Payload would be 16,800 kg, and gross liftoff mass 880,000 kg. Staging would be at 86 seconds after launch at 26,000 m altitude, earth orbit insertion 516 seconds after launch. The 3-4-4-configuration would result in a 50.3 m long orbiter and 40.5 m long booster. Payload would be 31,750 kg, gross liftoff mass 1,316,000 kg. In either case the orbiter would be equipped with a 4.6 m x 9.2 m cargo bay and a crew of two. A 5-3-3 configuration, using 3 x liquid oxygen/kerosene engines in each booster was also studied. This would have a payload of 38,000 kg to orbit. However the study concluded that having the same propellants and engines in the orbiter and booster was an advantage that outweighed other considerations. Family: orbital launch vehicle, Winged. Country: USA. Agency: George Washington University.